J.G. 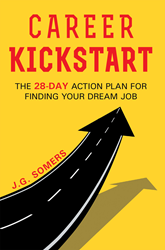 Somers’s new book “The Career Kickstart Your 28-Day Action Plan for Finding Your Dream Job” aids readers in finding the perfect opportunities for a better career. Recent release “The Career Kickstart Your 28-Day Action Plan for Finding Your Dream Job” from Page Publishing author J.G. Somers is a helpful account that focuses on finding one’s strengths and capabilities and matching them with the job desired. J.G. Somers, a prolific writer and author, has completed her new book “The Career Kickstart Your 28-Day Action Plan for Finding Your Dream Job”: a perfect discussion for individuals seeking for better opportunities in their career; this book talks about the basic rules and mindset when looking for a job to either jumpstart or upgrade one’s curriculum vitae. Author Somers emphasizes that a healthy work environment will yield to a more productive employee: “Most of the people that I’ve worked with that disliked their job didn’t hate their work environment but, rather, hated what they had to do day in, day out. Within a month or two of finding a new job with the same responsibilities, they would be unhappy, switch to another company, and again the cycle would continue. Every few years or so, look inward and ask yourself who have you become, where your interest lies now, and what potential opportunities are out there.” The following insight isn’t just for the unhappy employee but for every one of us. Readers who wish to experience this fascinating guide can purchase“The Career Kickstart Your 28-Day Action Plan for Finding Your Dream Job” at bookstores everywhere, or online at the Apple iTunes store, Amazon, Google Play, Kobo, or Barnes and Noble.